Have you ever had the opportunity to explore tide pools with your children? It is such a fascinating experience. Between the beautiful sea anemones, urchins, barnacles, starfish and crabs, it’s hard to choose a favorite, but I just adore the vibrant starfish. 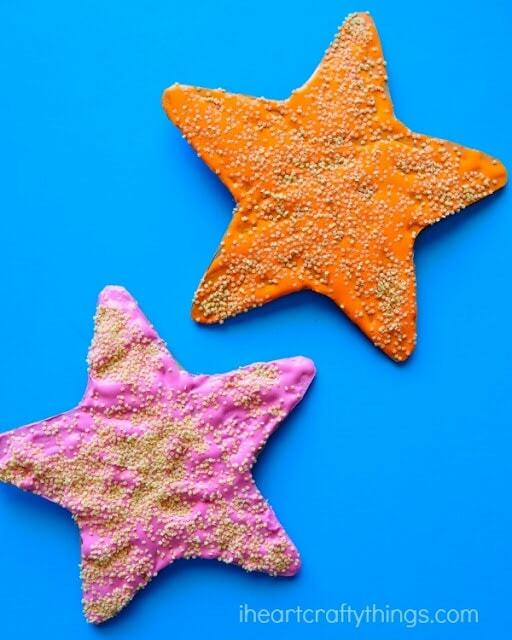 They are commonly called starfish but their appropriate name now is actually sea stars. Their name was changed since they aren’t really a fish but are closely related to sea urchins and sand dollars. 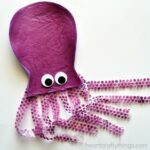 After my kids had the experience of seeing them in their natural habitat last week, and because we love ocean themed crafts, we thought it would be fun to remember our experience with a craft. 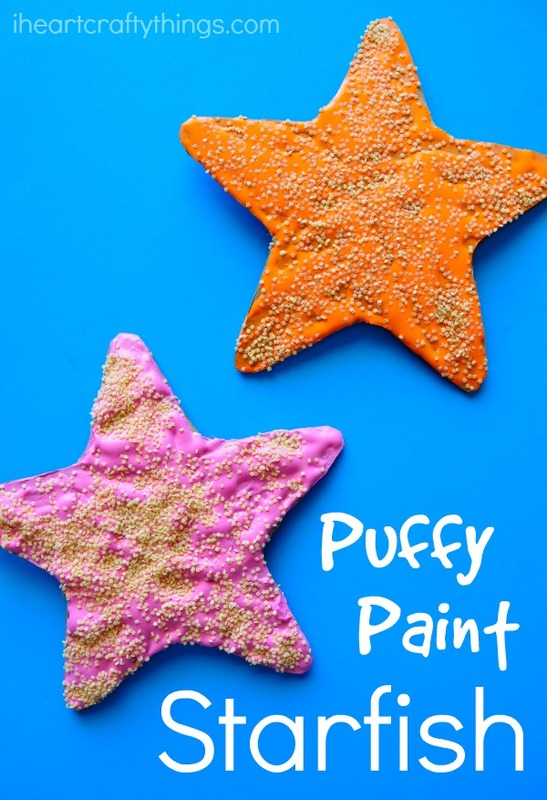 I whipped up some paint and we created this stunning Puffy Paint Starfish Craft for Kids. 1. 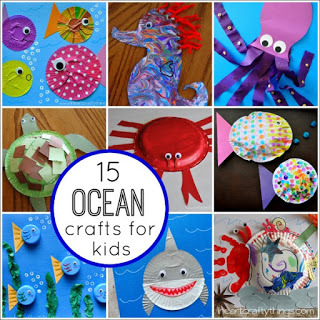 Start by cutting a starfish shape out of your cardboard. 2. 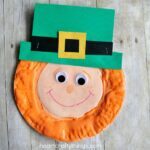 Mix up your puffy paint. To do this, mix equal parts of shaving cream and school glue. I used a 1/4 cup of each. I ended up adding a bit more shaving cream to mine so adjust it to your liking. Then add in a good squirt of acrylic paint and stir it until the color is mixed through. 3. 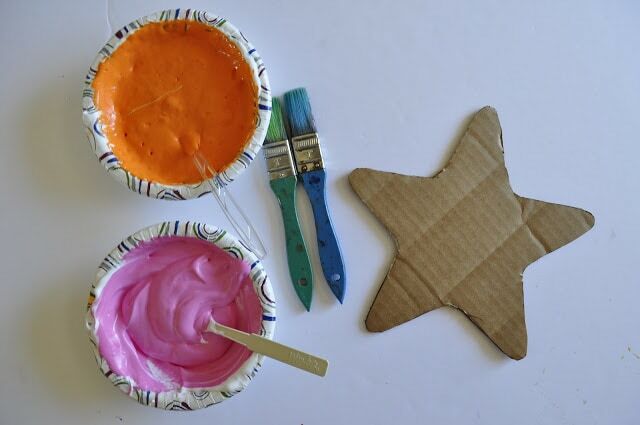 Paint a thick layer of the puffy paint onto your cardboard starfish. 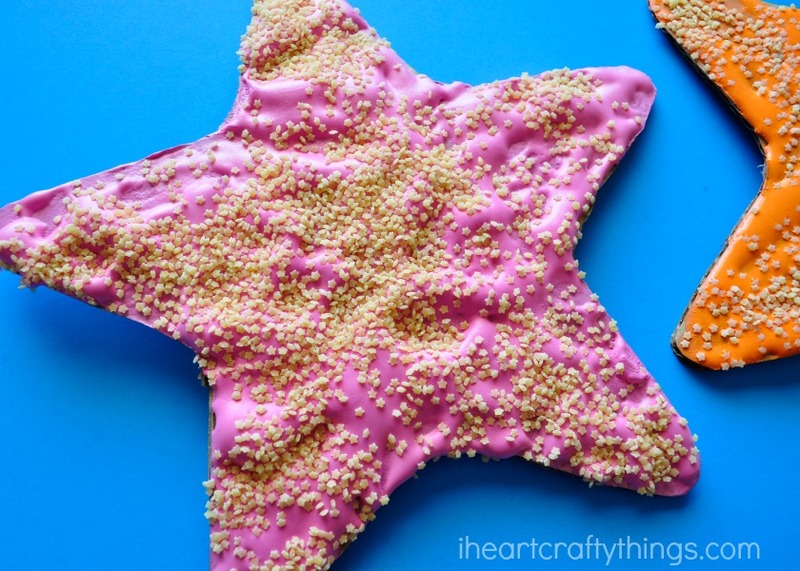 While it is still wet, sprinkle the Pastina Pasta all over the starfish. Let it dry completely. I like using acrylic paint for the puffy paint because it gives it more of a vibrant color. 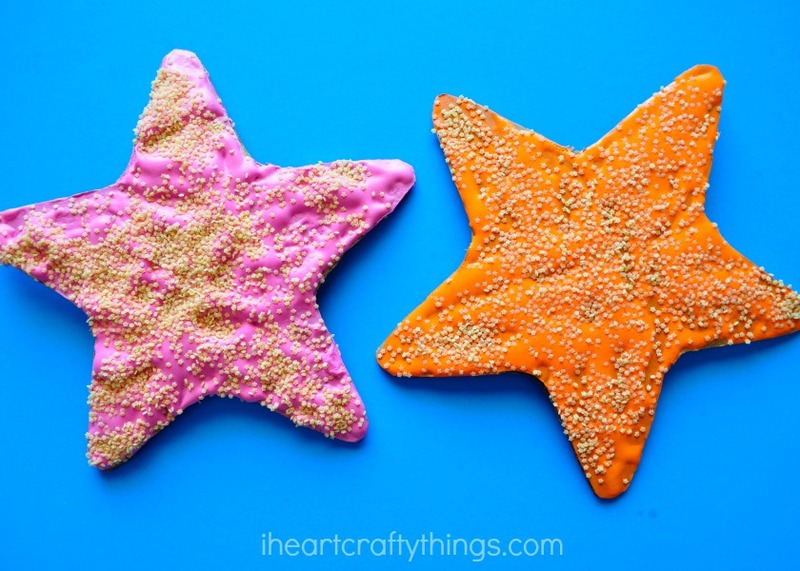 Our puffy paint starfish turned out just as colorful as I remember seeing them in the tide pools, and I love the added texture of the Pastina pasta. It makes it a fun sensory experience to feel the starfish after it is dried. 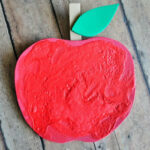 Sign up for our Newsletter to keep up with all of our new crafts and activities!